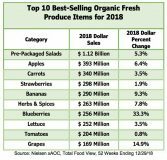 In a year when total grocery store dollar growth only reached 2 percent, organic fresh produce once again surpassed the status quo, according to new information released by the Organic Produce Network (OPN) and Nielsen. 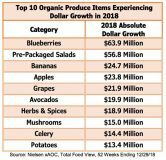 In total, organic produce sales reached $5.6 billion in 2018, with the year ending on a particularly high note as sales increased 13 percent the final week of the year. Fresh produce represented 26 percent of total store organic sales, and a growth rate of 8.6 percent was on par with total store organic, which suggests a continued movement toward mainstream demand across product consumption. Blueberries increased the most absolute dollars, followed by prepackaged salads. Organic bananas, apples and grapes all exceeded $20 million in growth as well. “What’s especially interesting about the 2018 numbers is an impressive two-thirds of all produce commodity groups increased organic sales year-over-year which indicates this is not an isolated incident. 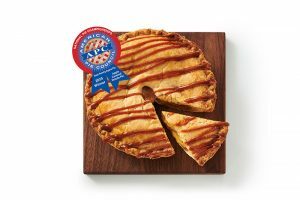 Perhaps most importantly, organic growth occurred in these three categories despite a decline in conventional sales,” said Matt Seeley, CEO of OPN. At the same time, organic isn’t a guaranteed success in produce. Products like strawberries and tomatoes experienced far greater growth in the conventional offering. A closer look reveals how important pricing is for these categories. Prices were an astoundingly different $1.97 to $3.38 per pound between conventional and organic tomatoes and $2.26 to $4.26 for conventional and organic strawberries. “When you compare this difference with commodities that experience a high organic growth rate such as grapes, the difference is striking. Conventional grapes rang in at $2.18 per conventional pound compared to $2.94 per organic pound. 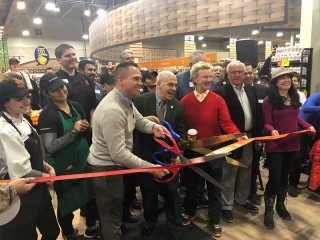 Clearly there’s a strong connection between the growth of organic and the price premium with its conventional counterpart,” Lally said. 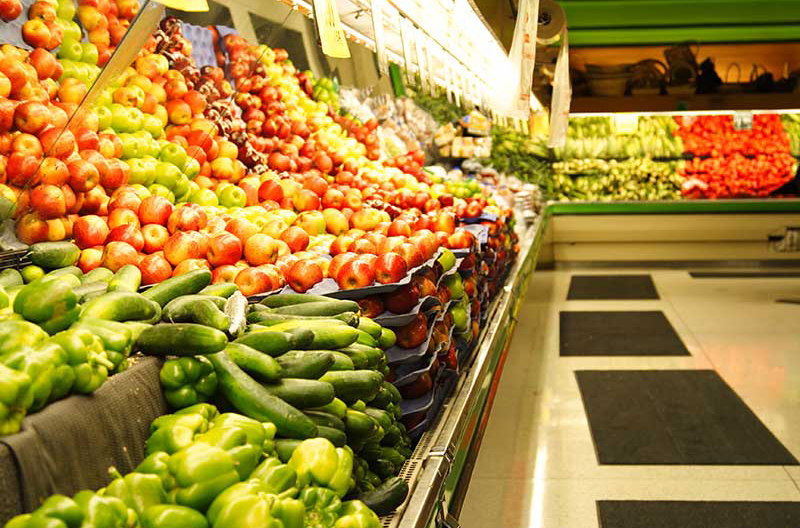 OPN is a marketing organization serving as a resource for the organic fresh produce industry. The company’s mission is to inform and educate through a strong digital presence. The OPN audience includes organic producers, handlers, distributors, processors, wholesalers, foodservice operators and retailers.